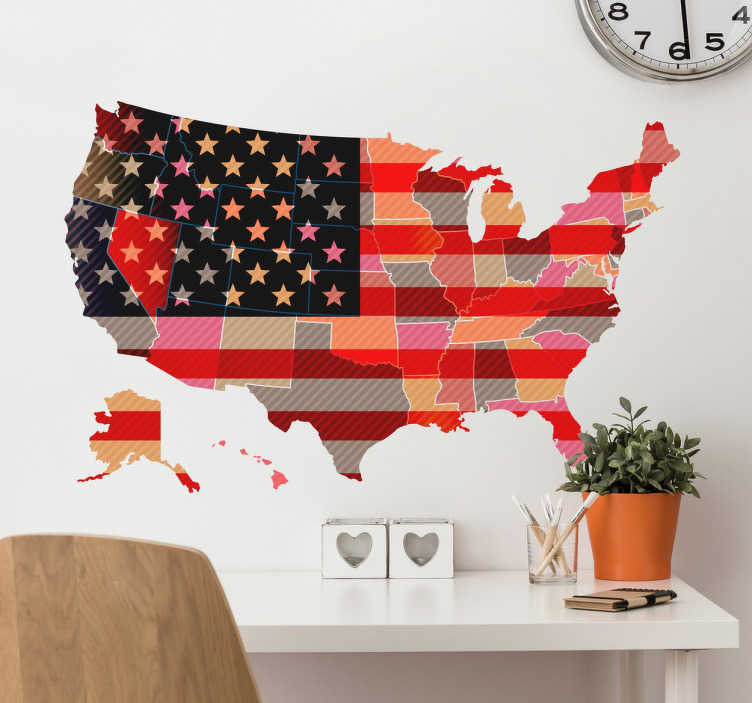 Vintage USA map wall sticker decorated with stars and stripes and all the states. Perfect wall decoration for office, living room or kitchen. Learn about geographic with this beautiful wall sticker. Produced in high quality vinyl and can be fitted so it have the dimensions which fits your needs.